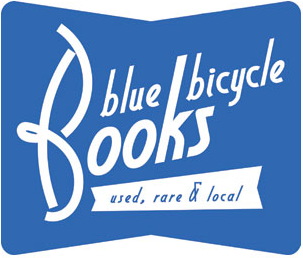 Renowned poet, essayist, and environmental studies expert John Lane will discusses his new book, Coyote Settles the South, as part of Blue Bicycle Books Charleston Author Series luncheon on Friday, August 12th, at noon. Tickets are $31 for the author talk and three-course luncheon at High Cotton, or $61 for the luncheon plus a signed, hardcover copy of Coyote Settles the South. 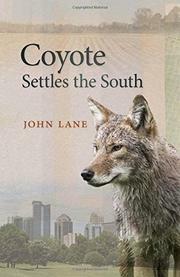 Coyote Settles the South is the story of Lane’s journey as he visits coyote territories: swamps, nature preserves, old farm fields, suburbs, a tannery, and even city streets. Along the way, he gains insight concerning the migration into the Southeast of the American coyote, an animal that surprises him with its intelligence, resilience, and amazing adaptability. Co-existing with coyotes is a trending topic here in Charleston as coyote populations have increased on Isle of Palms, Sullivan’s Island, and Mt. Pleasant, Folly Beach, and James and Johns Islands as well. The SC Senate budget panel recently shot down a proposal that would tag coyotes throughout the state for hunters to pursue for a $1,000 reward. According to The Post and Courier, “The catch is that hunting and discharging a firearm or bow is outlawed in municipalities such as Mt. Pleasant and Isle of Palms where the coyote’s presence continues to be a problem. Currently city landowners may only trap a coyote.” A petition started earlier this year “to tell government officials that residents of Isle of Palms and those who visit the island should not be asked to co-exist with coyotes,” has garnered only 66 names to date. Lane’s own argument is for folks to stop hating the coyotes, and instead to see them as part and parcel of their environment. The Department of Natural Resources suggests just that. 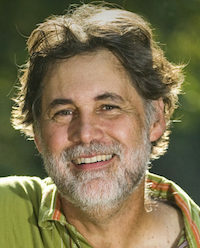 John Lane teaches environmental studies at Wofford College, where he also directs the Goodall Center for Environmental Studies. In 1995 he co-founded a community press and literary arts organization in Spartanburg called The Hub City Writers Project. His poems have been published in magazines such as The Virginia Quarterly Review, Harvard Magazine, Ironwood, Ploughshares,and Nimrod, among many others. Pamela Graham Anderson, former WSPA Emmy Award Winning TV Anchor, now owner of Pamela Graham Associates, will interview Lane about the topic, which will be shown interactively on Facebook Live.